Before the establishment of the mining industry there, what was to become the town of Buchans was no more than a point in the wilderness along the shores of the Buchans River (named for Lt. David Buchan, who had explored the area in the early 19th century). 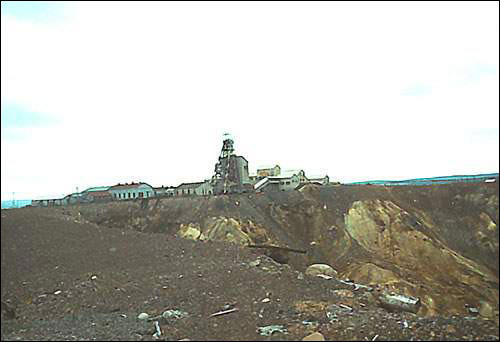 The history of Buchans, and of the mining industry which operated there from the 1920s to 1984, is similar in many ways to that of other Newfoundland mining towns. Yet the story is, in important ways, unique. Director headframe and mill, Buchans mine. The headframe houses the hoisting equipment above the mine shaft. Though the Mi'kmaq are believed to have known about the mineral deposits in the Buchans area at least as long ago as the 1850s, it was not until 1905 that the Anglo-Newfoundland Development (AND) Company, attracted to the island by the prospect of a lucrative pulp and paper industry, hired a local prospector to investigate the Red Indian Lake area. 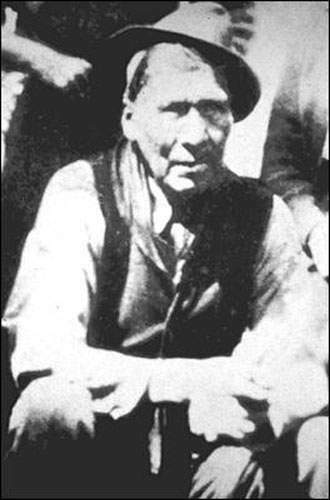 In the same year, Matty Mitchell, who had both Mi'kmaq and Innu ancestry, brought out samples which were found to contain a combination of zinc, lead, copper, gold, and silver. Mitchell got two dollars and fifty cents for his trouble, and crews set to work to develop the site. The problem, however, was how to separate the various minerals from each other. No suitable process had been developed up to that time, and despite repeated attempts in laboratories as far away as Sweden, it was not until 1925, with the introduction of "selective flotation" technology, that the ore became commercially marketable. Mitchell was the first person to bring examples of mineral deposits from the Buchans area to the Anglo-Newfoundland Development Company. The solution to the separation problem was largely the result of the involvement of the American Smelting and Refining Company (ASARCO), a giant US-based firm owned by the Guggenheim family. 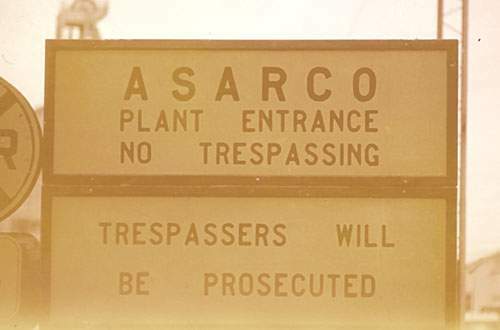 In 1915, ASARCO and the AND company had joined forces to work on the problem, and in 1926 when the separation process was established, ASARCO and AND entered into a formal partnership to develop the resource. The American Smelting and Refining (ASARCO) and the Anglo-Newfoundland Development (AND) companies owned the Buchans' mine. AND was in a particularly advantageous position when it came to the Buchans mineral deposits. Under an agreement dated June 15, 1905, the AND Company and its subsidiary, Terra Nova Properties, had been granted land and mineral rights to 2,320 square miles in central Newfoundland, for a period of 99 years. The Buchans mining operations came under "The Manufacture of Pulp and Paper Act" of 1905, whereby the company would pay an annual royalty of 5% of the net profits. In May 1926, with J. Ward Williams in charge, ten men arrived to lay the groundwork for the operation. In July prospectors discovered the "Lucky Strike" site, and in late July and early August the "Oriental" ore body was found. 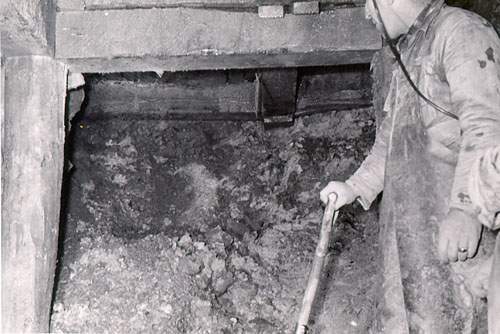 The sinking of a shaft at the Lucky Strike site was well underway by the time winter set in. 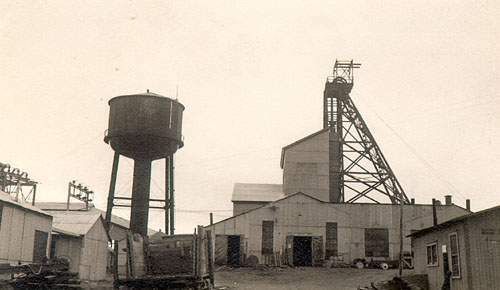 The Buchans Mining Company (BMC) was incorporated 29 January, 1927. Over 400 people were directly involved in the operation, and work began on the many industrial and residential buildings (including bunkhouses and married quarters) that the operation required. The BMC was aided in this start-up phase by a deal reached earlier with the Newfoundland government, whereby materials and equipment for the mine and the town were to enjoy duty-free importation for a period of 20 years. The Rothmere mine headframe is pictured in the background. "Old Glory Hole," the first mine workings, is located in the foreground. The deal caused an uproar in many quarters, including the House of Assembly, where members argued that Buchans was fast becoming a privately-owned community, completely outside the control and jurisdiction of the colonial government. The Monroe administration responded that desperate economic conditions left no choice but to give in to the company's demands. In the land grants, royalty breaks, and tariff concessions the developers enjoyed, the Buchans situation was not unlike other Newfoundland resource-sector developments. The argument based on the need for employment and development capital was, and continues to be, a familiar one. One way in which Buchans differed from other mining communities, however, such as Bell Island and St. Lawrence, was that it was literally built around and in conjunction with the mining industry. While Bell Island (where the iron mines were opened in 1895) and St. Lawrence (where fluorspar mining began in 1933) certainly grew and changed a great deal after the introduction of mining, they were established communities with sizeable permanent populations for many years before the arrival of the mines. In the case of Buchans, a town was built in the wilderness for the sole purpose of mining and milling the ore. By the fall of 1927, for example, where a year before there had been only wilderness, there stood, in addition to the mine and mill, a number of bunkhouses and cottages for married workers, a church, and a school. By 1928, a hospital and a hydro-electric plant had been added. Another fundamental difference between Buchans and other mining towns on the island was the degree of control which the company exercised over nearly all aspects of life there. The company owned and controlled the houses, and sold and controlled the fuel, electricity, and nearly all other material needs. In fact, private, non-company merchants and itinerant vendors were not permitted to do business in town. No individual could build or own a permanent, private structure or even carry out repairs on company-owned housing. Furthermore, the company owned and controlled the 23-mile railroad track to Millertown, the only connection to the outside world. Persons could travel this rail line only with written permission of the company. In the manner in which it was planned, constructed and controlled, therefore, Buchans was more like the AND's other major industrial site, the pulp and paper town of Grand Falls, than any other mining town on the island. This isolation and control was not seriously challenged, or even brought to public awareness, until the Buchans miners' strike of 1941.